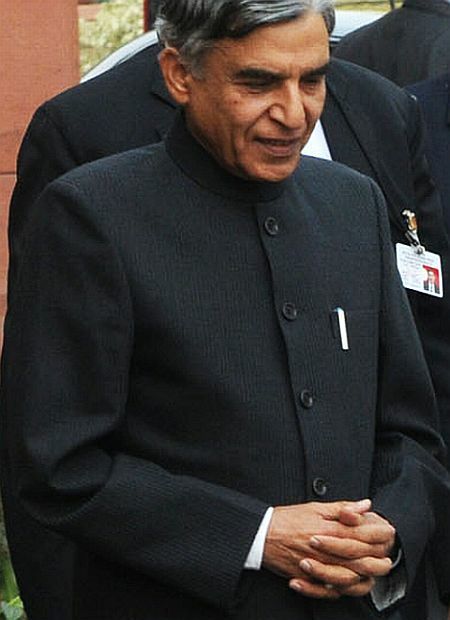 A few days after Railway Minister Pawan Kumar Bansal was forced to resign from the Cabinet following bribery allegations against him, his detractors in the Congress have started eyeing his Lok Sabha constituency Chandigarh on the assumption that it will be difficult for him to face the electorate in the 2014 general election. Among those who are keen on moving to Chandigarh include Information and Broadcasting Minister Manish Tewari, Telecom and Law Minister Kapil Sibal, senior Congress leader Ambika Soni and Haryana politician minister Venod Sharma. The Union Territory of Chandigarh is considered a relatively manageable constituency as it is not very large and has an essentially urban and literate electorate. Tewari is a sitting MP from Ludhiana, but would prefer to contest from Chandigarh as he has a long association with the city, having studied in the university here and it is here that he learnt his basics in politics as a student leader. 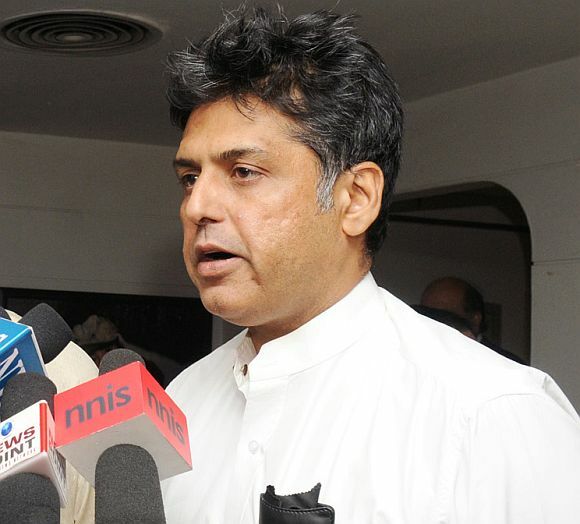 Although Tewari is busy nurturing his current constituency, having won the seat for the first time in the 2009 elections, he is apparently not sure of winning the seat in next year's Lok Sabha polls. The Congress has still not recovered from its shock defeat in last year's assembly polls. The Punjab Congress continues to be plagued by infighting while its organisational structure is still weak even though the new state unit president Pratap Singh Bajwa is making strenuous efforts to strengthen the party. However, it is proving to be an uphill task as the Akali Dal is a tough opponent. Having won the state assembly polls for the second consecutive time last year, the Akali Dal is moving ahead aggressively by pitching itself as the only political party which cares for the peasantry while taking up cudgels on behalf of the Sikh community. Punjab Deputy Chief Minister Sukhbir Badal is said to be confident of routing the Congress in all the 13 Lok Sabha seats in next year's general election. While Tewari faces a serious challenge in Ludhiana, Kapil Sibal also finds himself on slippery ground in his East Delhi constituency. Like Tewari, Sibal is also spending long hours these days in his constituency and is hoping that the Congress party's minority support base will see him through for the third time. But the high-profile lawyer-turned-politician has reasons to be worried as the Congress party today is a pale shadow of what it was in the run-up to the 2009 elections. The urban middle class, which had rooted for the Congress in the last election, is thoroughly disillusioned with the grand old party today thanks to the string of corruption scandals that have surfaced in the last three years. The poor state of the economy, high prices and the general perception that the UPA government is in a state of drift have contributed to the Congress party's waning popularity in Delhi. The Congress had won all the seven Lok Sabha seats in the last election but it will be near impossible to repeat the feat again. Given this backdrop, it is easy to understand why Sibal may want to move to what is considered a relatively safe constituency like Chandigarh. Sibal's family comes from Chandigarh. 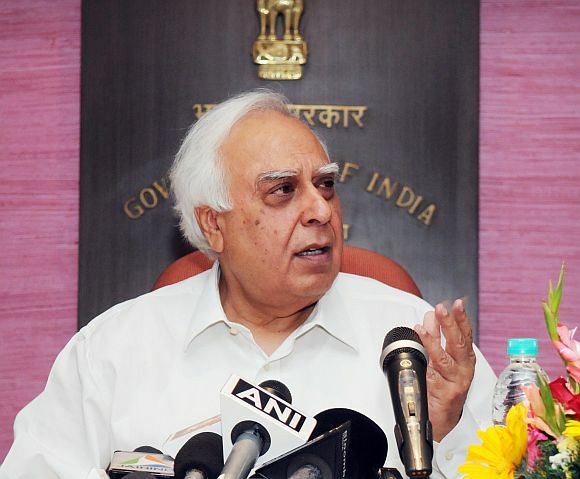 His father Hira Lal Sibal, who passed away recently, was a respected and well-known lawyer here, having served as advocate general of Punjab twice during his 67 years of legal practice. Sibal has been a frequent vistor to Chandigarh and is well known there. Unlike Manish Tewari and Kapil Sibal, senior Congress leader Ambika Soni has been a Rajya Sabha member for over a decade now and has not contested a Lok Sabha election. She has strong roots in Punjab as her family hails from Hoshiarpur. A quintessential organisational person, Ambika Soni is quite involved with affairs of the Punjab party unit and keeps in constant touch with party workers from the state. The state unit had urged her to contest the Hoshiarpur Lok Sabha seat in the 2004 elections but Soni chose to take the Rajya Sabha route. She is a familiar face in Chandigarh as travels to the city frequently since she has a house there. 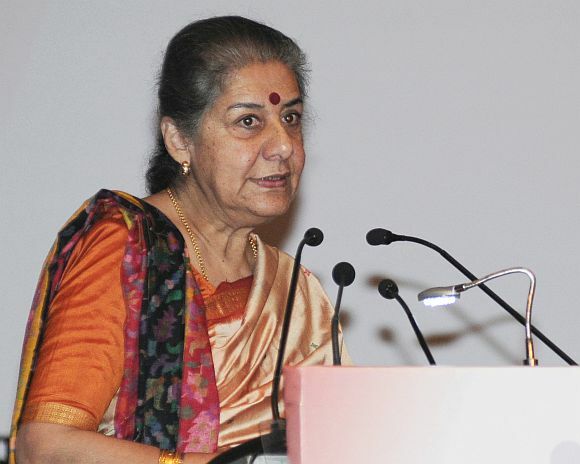 Ambika Soni's interest in the Chandigarh seat is being attributed to her desire to contest a Lok Sabha election so that she can shrug off the criticism that she is not confident about facing the electorate and that she would rather go for the safe option of a Rajya Sabha term. Venod Sharma, an old Congress hand and media baron, had to move to Haryana after he courted controversy following his son Manu Sharma was involved in the Jessica Lal murder case. Having spent the last decade away from the national political stage, Venod Sharma is keen to get back. With Pawan Kumar Bansal fending corruption allegations, Sharma hopes that he can strike lucky and get a party ticket from Chandigarh. 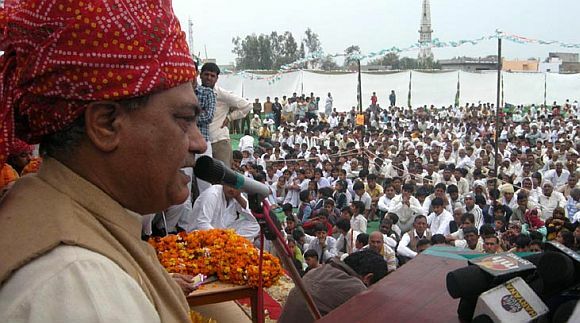 Bansal and Sharma had locked horns in 1999 when the former rail minister managed to outmaneuver him in a bitter internal party feud to get the Lok Sabha ticket.